As preparations for the new season get underway, tension is mounting. Players are working at getting fit and focusing, with a smidgen, maybe more of anxiety, on making it into the team. Yes, it’s minor hockey evaluation season again! Arguably, there’s no better message than “Go out there, do your best and have some fun”? And it’s a message with real positive impact when it comes from the head coach of your NHL team, the Calgary Flames. 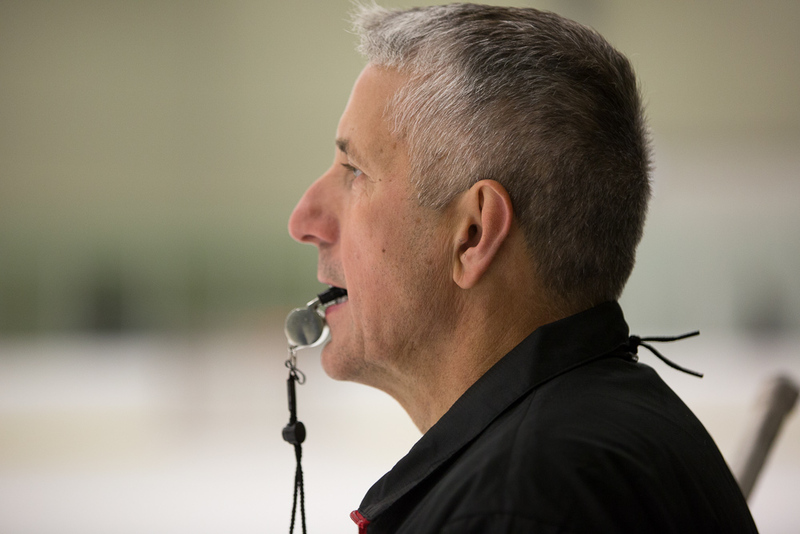 This is how Bob Hartley started off today’s Bob Hartley Honda Hockey Camp at Westside Recreation Centre. To have the calibre of this coach teaching young PeeWee players the finer points of our national game is another demonstration of how much the Calgary Flames organization puts it back into the community. 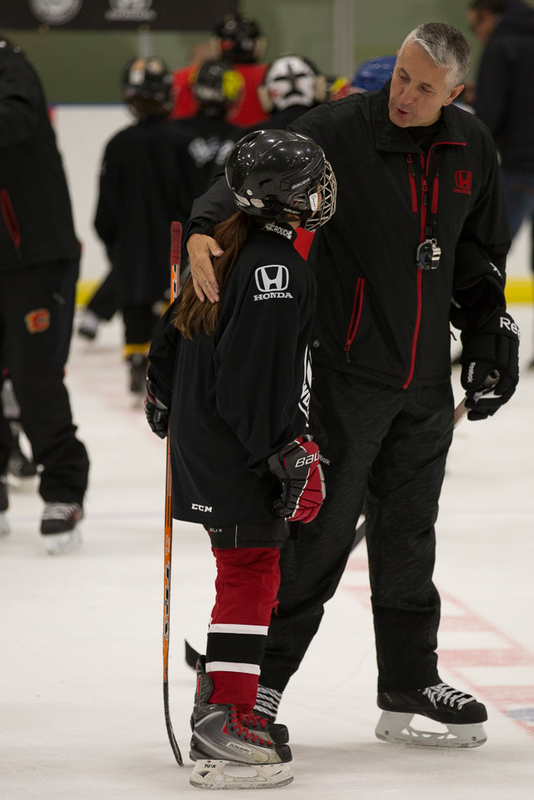 With support from the Calgary area Honda Dealers, Bob was on the ice for a full two hours and joined by a top notch coaching crew. The Flames Captain, Mark Giodarno was there advising young defence men. Former Flames player and now Assistant Coach, Martin Gelinas was directing two on one drills along with his son, Matthew, a former Calgary Royals player and now with the Tri-City Americans in the WHL. Flames Senior video analyst, Jamie Pringle, was there too to complete the impressive instructional line-up. 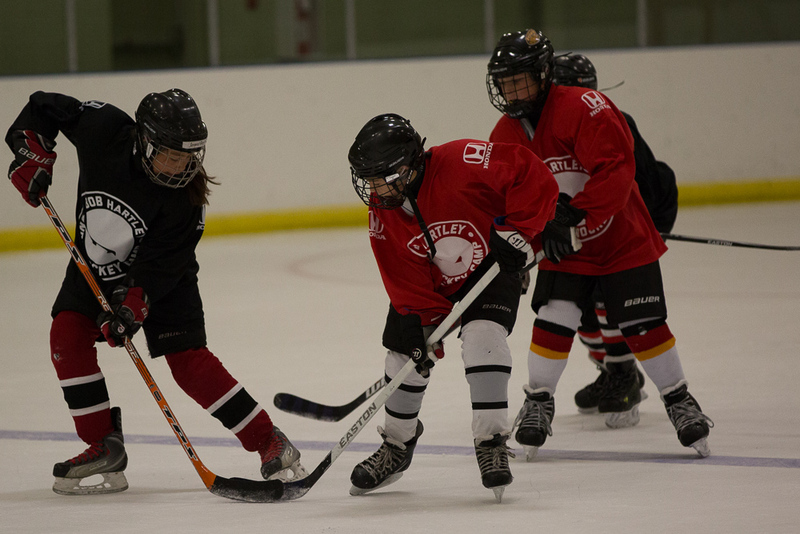 Here’s a few images from the ice at Westside Recreation Centre, Calgary.